Waterloo is located only 4 kilometres south of the Sydney central business district, just a stone’s throw from the CBD, you’ll have access to some of the best lifestyle and transport options in Sydney, making it a breeze to get around. A unique space with a green oasis at its heart, The Finery is unlike anything ever seen before in Waterloo. 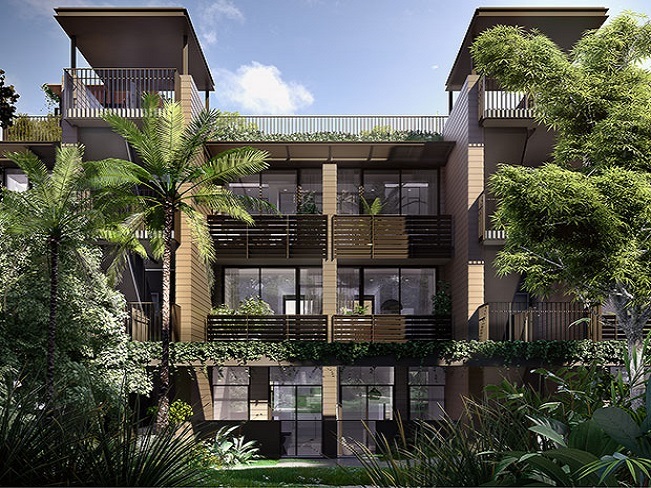 The apartments in this sophisticated development are carefully tailored, with a look and feel that can only be achieved through meticulous design and quality craftsmanship. The architecture mimics the fine detail of the surrounding neighbourhood, maintaining a contemporary façade that’s both striking and graceful. 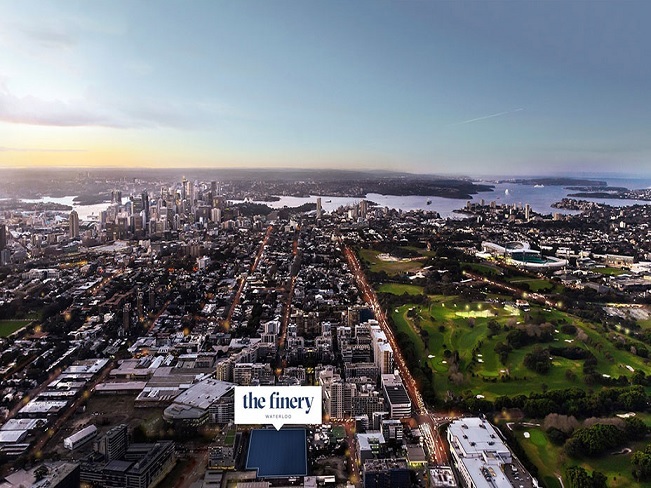 The Finery will offer a refined living experience, and will be an outstanding place to live, work and invest. One of the most beautiful features of The Finery is its living green heart. 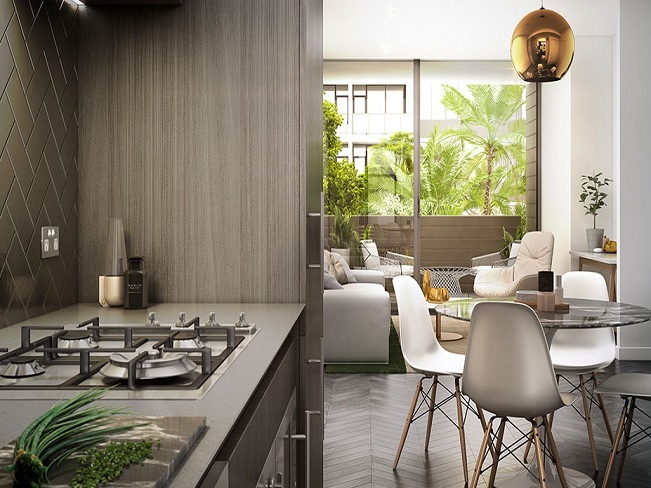 Within the designer walls lies a private garden oasis of rugged lush foliage and tranquil, secluded sitting spots – ready and waiting for you to sit back, unwind and relax. 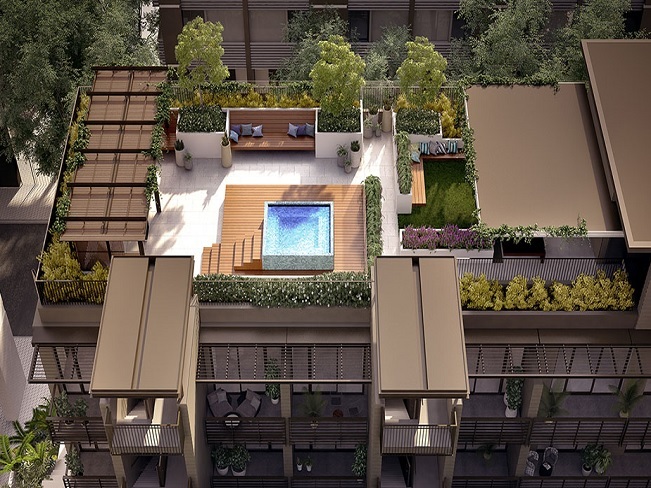 The rooftop terrace will provide a rare sanctuary for people who enjoy socializing and relaxing. 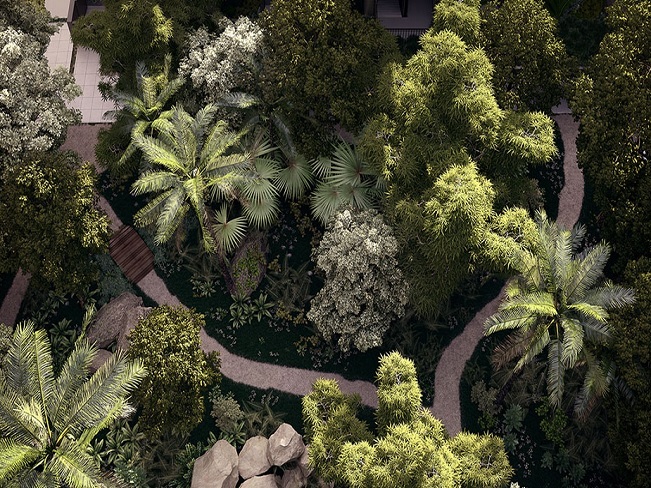 Nestled amongst verdant landscaped gardens, this refuge is proposed to include a sun deck, plunge pool which converts to a Jacuzzi in winter, outdoor dining and barbeque grill. With several private areas allowing you to entertain friends and family, you can pop up for a spot of dinner, or enjoy a quick dip to unwind from a busy day. With an extensive bike lane network linking Waterloo with the CBD and beyond, a future Sydney Metro Station, and the addition of a proposed light rail network in the near future, there’s plenty of transport options right at your doorstep. 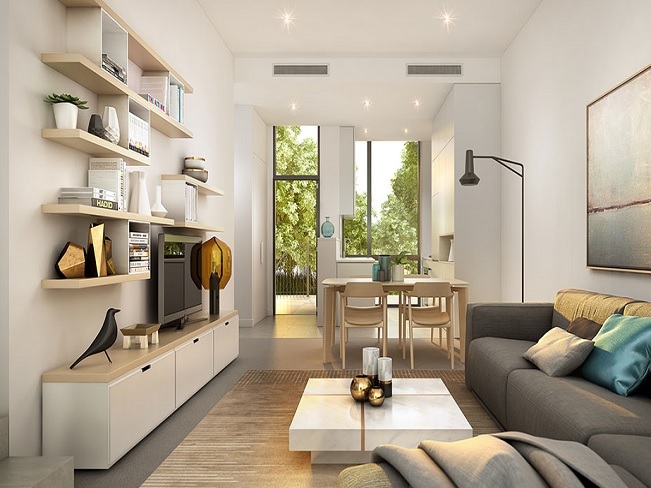 And with Green Square Train Station just over a kilometer from your front door, when it comes to connectivity, The Finery has it all. Whatever your preferences, Waterloo caters for every taste at the highest level. Stroll along Danks Street, renowned for its gourmet cafes and restaurants, or wander a little further afield and discover the nearby restaurants of Surry Hills and Alexandria. An area famous for its culinary delights. Waterloo is Sydney’s epicenter for designers, artists and furniture makers. Beclau is a stylist’s dream with artful accessories and tableware. If you’re looking for the perfect spot to relax, exercise or socialize, Moore Park is just a few minutes walk away and the perfect getaway from the hustle and bustle of the city. 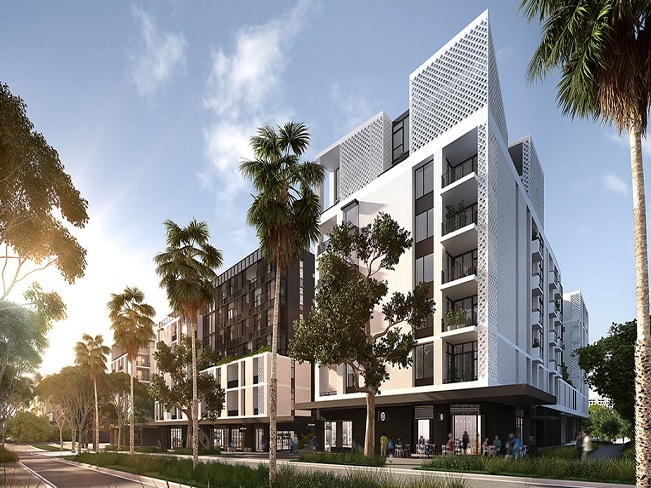 Closer to home and across Gadigal Avenue, Dyuralya Square is proposed as an active urban square with retail shops, landscaped garden rooms and raised lawns for relaxing. 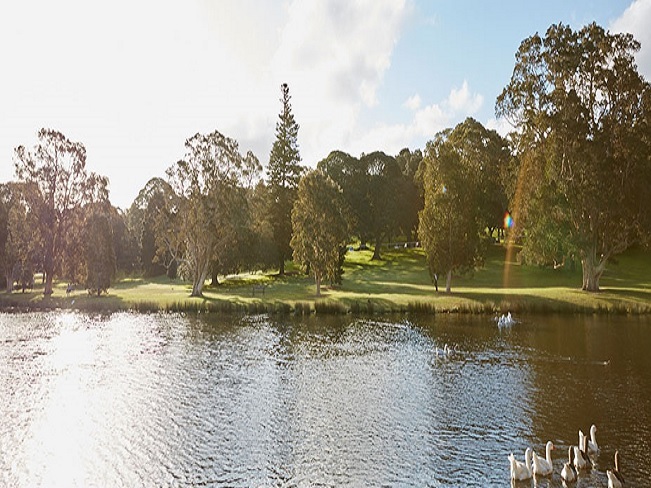 Moments beyond is a larger park with an adventure playground, barbeques and green open space known as Wulaba Park.Further afield, if you want to go for a run, or a spot of horse riding you can saddle up at Centennial Park, just a short car ride away. 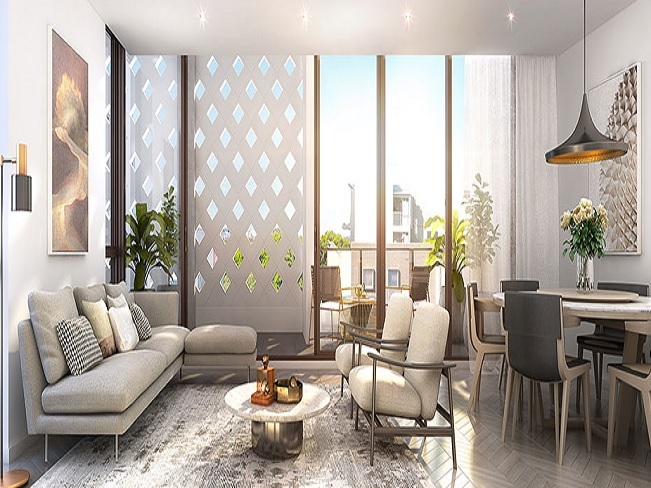 The Finery offers a selection of distinctive one, two and three bedroom apartments, with layouts that are designed to maximise space, views and sunlight. Beautiful craftsmanship, with a focus on the finer details delivers spaces that exude sophistication and warmth. Residents-only rooftop terrace with barbeque facilities, outdoor seating, sun loungers and a heated plunge pool/spa.